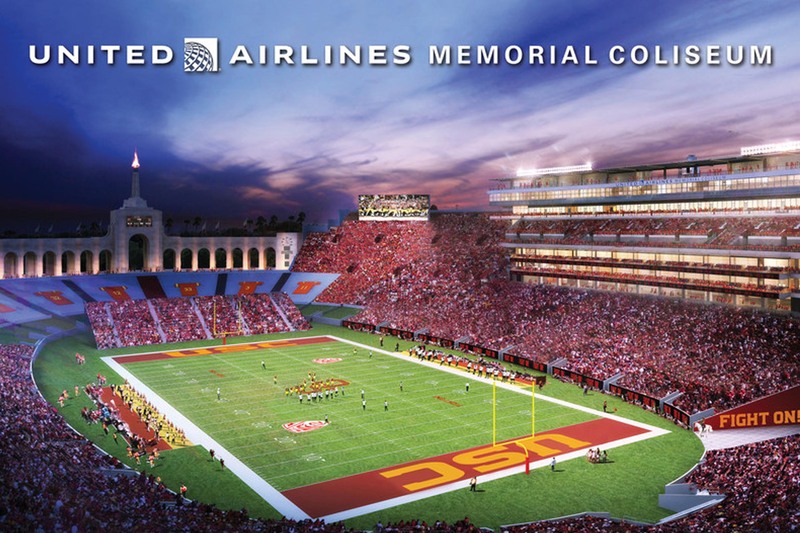 Today, United Airlines and USC announced a naming rights agreement to help sustain and renovate the Los Angeles Memorial Coliseum, one of the sports world’s most beloved historical landmarks and home of the USC Trojans since 1923. Under the agreement, the venue will officially become the United Airlines Memorial Coliseum beginning in August 2019, which coincides with the completion of the current $270 million renovation project. While honoring our architectural integrity, the project will include renovations and repairs to enhance the stadium and improve guest experience in time for the Coliseum’s 2023 centennial celebration. Together with United, we are proud to ensure the Coliseum’s future as a world-class venue and true community asset.